The angular frequency and position of the relativistic simple harmonic oscillator (RSHO) are approximated using cubication schemes based on truncated Taylor series, Type 1 Chebyshev series, Type 2 Chebyshev series, and the least squares method. Approximate analytic expressions involving Jacobi elliptic functions for the position of the RSHO were obtained. We found that among the four cubication schemes, the Type 1 Chebyshev cubication has the widest range of velocity parameter βmax for which relative errors do not exceed 1% and 5%. D. Marquez and J. P. Esguerra. 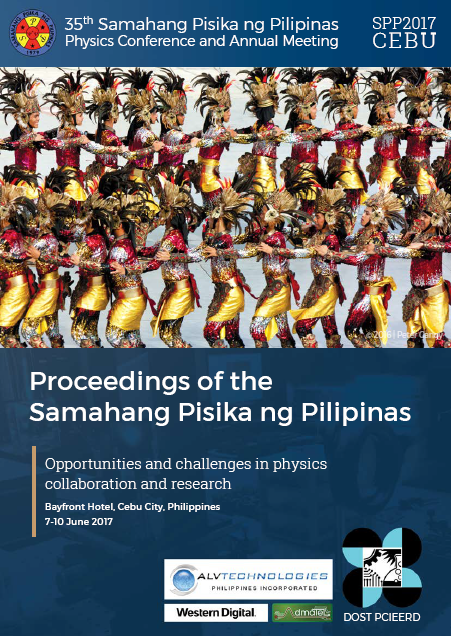 Cubication schemes for relativistic simple harmonic oscillator, Proceedings of the Samahang Pisika ng Pilipinas 35, SPP-2017-PB-11 (2017). URL: https://paperview.spp-online.org/proceedings/article/view/37.